Berry Picking Picture – Pretty Scene! This is a charming Berry Picking Picture! 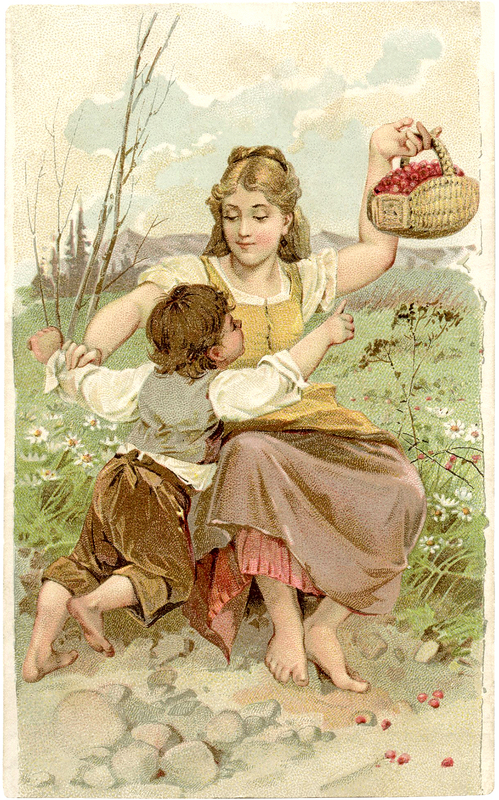 Shown here is an old Advertising Trade Card, featuring a young woman and a little boy, in a pastoral setting! The mother has picked a basket of some type of Berries and she’s trying to keep the boy from getting to them! The colors are so soft and lovely and the scene is so serene. Nice for your Spring Craft or Handmade Card Projects! You might also like a similar image showing a young Girl with a Calf, you can find that one HERE. Whimsical Children at Sea Picture! 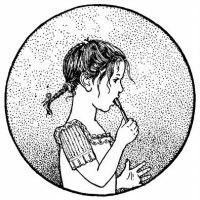 Vintage Clip Art – Boy & Girl Brushing Teeth Lovely Victorian Raspberry Girl Download! Love this! The artistry is so real and graceful. Thank you for posting it.